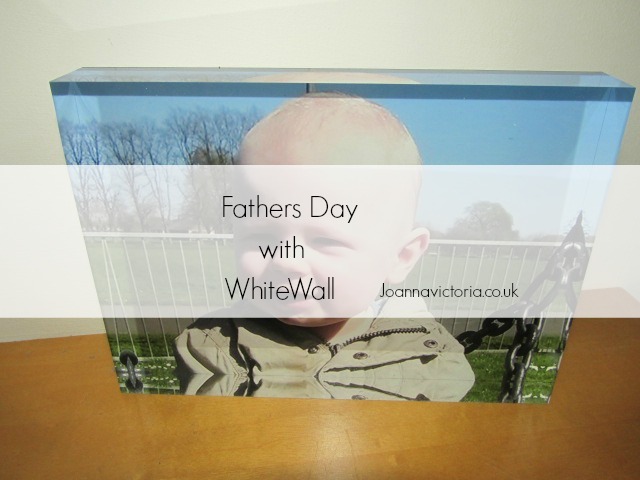 As fathers day is fast approaching online photolab, WhiteWall have a fab selection of photo print products. You can transform one of your favorite photos into a stunning showpiece. Their are products with an array of looks, sizes and frames to choose from. WhiteWall offers a high quality printing and framing service using customers’ own photos. Simply choose an image, specify your custom size and material, including HD Metal Prints and Acrylic Blocks, and you pick from a range of framing options such as Floater Frames or Solid Wood ArtBoxes. Prices start at under just under £10 so ideal for a range of budgets. The website is simple to use I ordered an 13x18cm acrylic block. All I had to do once selected the item I wanted was to upload my chosen photo (a cute one of Blake on the swings) and then you can move the photo into position and then your done just add to cart and go to checkout. It's that easy. Delivery was speedy too I ordered on the 15th May and the product was dispatched on 17th May, arriving on the 19th of May. As for the product as you can see above it is of high quality. The acrylic glass is extra thick at 25mm and is sturdy and made like this for luminosity and impact. 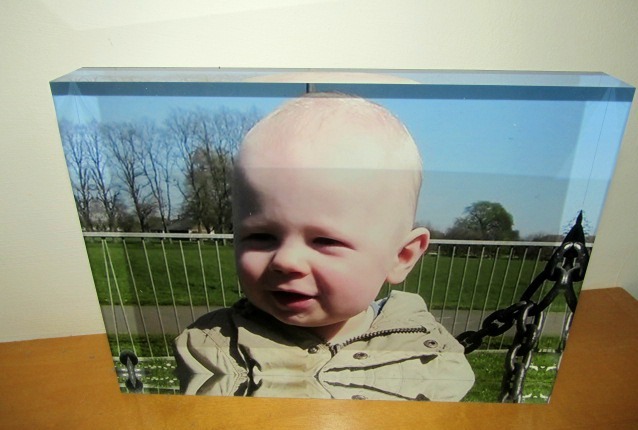 The acrylic block is stable so can be stood anywhere without extra supports or stands. The print itself is of premium quality and I'm overall impressed in how the image has turned out since this photo was taken using my HTC phone. I am very thrilled with the acrylic block and see myself purchasing from WhiteWall again in the near future. That is so pretty. Going to check WhiteWall out. Oh wow I love acrylic blocks and this is super cute!! That looks like a great gift for Fathers Day...good spot! Ooh this looks great. It's been ages since I've gone to get photos printed. I've a whole folder on my laptop of beautiful shots waiting to be printed out! What a great idea for Father's Day! I will have to check them out, thank you! What a lovely canvas - we definitely need more of these around our house! Too many pictures!! That looks lovely, modern and a fantastic gift for any Dad. Photos are always a welcome gift idea! Who doesn't love photos :) This looks really great - good quality and nice and modern! What a beautiful photo, we love getting photo gifts, so i will check out WhiteWall! I have a HTC phone and the quality of the images produced by whitewall is fantastic. I love getting presents like this on Father's Day, and at Christmas. I've got a personalised calendar with different pics of my kids on it for my work desk. Lovely! Lovely idea. I love gifts like this because they're much more personal.